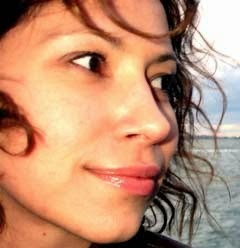 Just as submissions are sought for the American Theatre Critics Association's Francesca Primus Prize for emerging female playwrights, we got news that the 2015 Susan Smith Blackburn Prize -- the oldest and largest prize awarded to women playwrights -- had been awarded to Tena Štivičić for her play 3 Winters. Štivičić is a native of Zagreb, Croatia, although she now makes her home in London. She holds an MA in Writing for Performance from Goldsmiths College, University of London, and she writes in both English and Croatian. Her plays include pieces for children as well as collaborative works. They include Europe (2013), Invisible (2011), Fragile! (2004), and Can't Escape Sundays (2000). uced in a number of European countries and translated and published in some ten languages. Štivičić's plays have won numerous awards including the European Authors Award and Innovation Award. Her play Seven Days in Zagreb was part of a European Theatre Convention project called "Orient Express" in 2009, and a film adaptation of her play Invisible was in development at the time of this post. 3 Winters was produced at London's National Theatre in 2014, and Štivičić has indicated that she hopes winning the Blackburn Prize will mean her play can generate interest in a New York production, as well. The play has been published by Nick Hern Books in the UK. 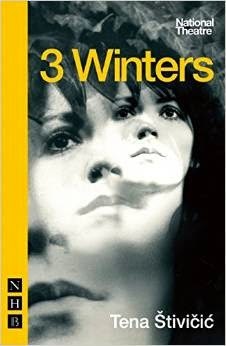 "3 Winters creates a portrait of an eclectic family held together by generations of formidable women. Through the lens of one family's struggle and triumphs, we witness the story of Croatia,from the remnants of monarchy to Communism, democracy, war and the EU. Reviewer for The Guardian, Michael Billington described the play as a "richly complex mosaic", where "what emerges, with unequivocal clarity, is the way political events shape personal relationships and the capacity of women to adjust to history's hardships." As the winner of the Susan Smith Blackburn Prize, Štivičić was given a cash prize of $25,000 and a signed, numbered print created especially for the Blackburn Prize by artist Willem de Kooning. She joins previous winners like Annie Baker, Julia Cho, Caryl Churchill, Gina Gionfriddo, Katori Hall, Marsha Norman, Dael Orlandersmith, Sarah Ruhl, Paula Vogel, Naomi Wallace and Wendy Wasserstein. Luck Kirkwood's Chimerica won last year and went on to take Britain's Olivier Award for Best New Play, as well. For the complete list of finalists and winners (an excellent resource for literary managers and others planning seasons), click here.